We’re the number one cruise line sailing to this bucket list destination, and as awe-inspiring as it is to travel through one of Condé Nast Traveler’s 7 Cruise Wonders of the World, we’ll help you explore equally fascinating places along the way. So stretch out on a Caribbean beach, admire the pristine rainforests, stroll the cobbled streets of colonial towns and journey through the fabled Panama Canal. See how easy cruising can be as you explore the Panama Canal. Princess MedallionClass streamlines your vacation with everything from expedited boarding to drinks on demand, so you have more time to do what you love. From ships custom built to sail the massive locks to immersive onboard programs and onshore adventures that inspire, Princess is the number one way to explore this epic phenomenon. We've sailed the Panama Canal since 1967 and we have more itinerary choices and departures of any cruise line in the region. We craft our itineraries to enrich our guests' experiences to provide the most exposure to this bucket-list destination. You'll be enchanted by Spanish and Dutch cities dating back centuries, as well as diverse tropical rainforests, white-sand beaches, dramatic volcanoes and UNESCO World Heritage Sites. And Princess provides live narration from the bridge while transiting the locks, just one reason we were voted "Best Cruise Line for Enrichment" by Cruise International. Princess brings the Panama Canal and surrounding regions to life onboard. Our Carnaval de Panama Festival of the World celebration focuses on indigenous music and dance, locally inspired cuisine, plus expert guest speakers and enrichment programs that put the spotlight on the unique history of the Canal. Each voyage offers a myriad of experiences and cultures. There is something for every type of explorer in this culturally diverse region. Choose from immersive excursions such as exploring the engineering mastery of the Canal, trekking through surrounding rainforests, visiting local villages and relaxing on the pristine beaches of the Caribbean. Find fascinating articles with Panama Canal cruise tips for experiencing unforgettable attractions, regional cuisine, and more on both sides of this epic man-made wonder. Sail through a man-made marvel. Discover Panama Canal with Princess Cruises in 2019 and 2020. Have a volcanic adventure during San Juan del Sur excursions from Princess Cruises. Nicaragua excursions show you dynamic landscapes and exotic wildlife. From walking the ruins of Old Panama to a tram ride through Soberania National Park, you'll come back enriched and enlightened from your Panama Canal cruise. Taste your way through the diverse culinary culture of Panama on your Panama Canal cruise with Princess. 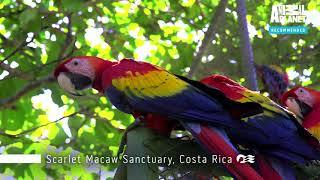 Partake in a Costa Rica excursion for a Caribbean adventure with Princess Cruises. There's something for everyone on Costa Rica shore excursions. Test your knowledge of facts about the Panama Canal with Princess Cruises. We want to make your cruise as smooth as possible so you can relax, and explore the world. That's why we offer Princess airport-to-ship transfers, a secure and worry-free way to start and end your vacation with reliable and courteous Princess staff transporting you and your luggage via comfortable motorcoach. Add peace of mind and a sense of security to your vacation with a Cruise Plus® Hotel Package. Give yourself a few days to relax either before or after your Panama Canal cruise and take in the sights of a sensational city. Princess handles all the details – including transfers and baggage handling – with accommodations selected for their incredible locations and excellent service.